Complete the form below and we will contact you to set up a Go To Meeting! We'll show you how EduBolt can work for your class, and answer all your questions. Everything You Need is Included in EduBolt. Create your class and add your students, from CSV/Excel import, or one at a time. Use our curriculum, enter your own, or do both! Fully customizable lessons & assignments. Students securely log in and upload files for each assignment, in EduBolt or via FTP. You can also create Quizzes and Tests within EduBolt, with randomized questions. Students create HTML, CSS, JS and PHP files with a syntax highlighting code editor, and will see their files run on a real web server! You can even specify a version of PHP for your class. If you teach MySQL, every student can get access to their own MySQL database. 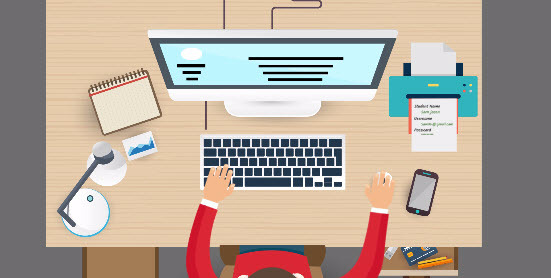 Students are better prepared for a dream career as a web developer. We're also FERPA, Student Data Security & PCI DSS compliant. 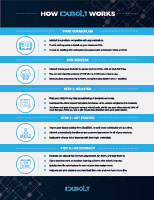 Download and view our infographic feature sheet, which explains how EduBolt works. Lesson 1. What is HTML? Lesson 1. What is CSS? Lesson 1. What are UI Wireframes? Lesson 7. To Mock-Ups and Beyond! Exact number of lessons not yet determined. All lessons and assignments are customizable within EduBolt. Plus multiple-choice quizzes and tests that grade themselves. There's nothing extra to install on your classroom PCs. If you prefer students upload their work using an FTP client, they can. 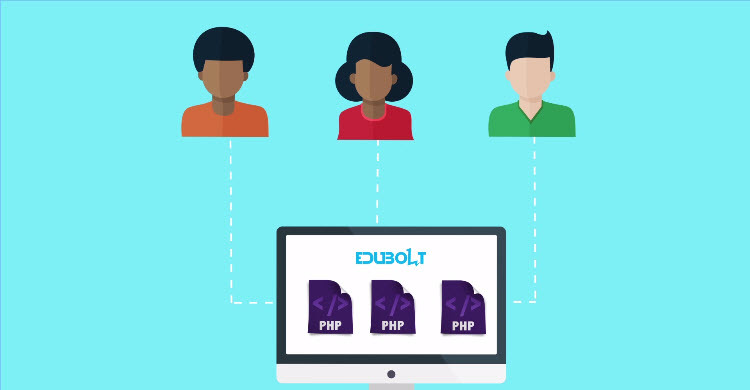 EduBolt takes the hassle out of teaching web development! Say goodbye to antiquated processes, such as Network Drives, managing your own server, or e-mailing files. Get started with your 30-Day Free Trial Today! Use your curriculum and course syllabus to break your class out into units. Then, add all of your lessons and assignments under their unit. Control the order lessons and assignments are shown to students. We offer an extensive selection of diversified avatars for you and your students to choose from, to represent you within EduBolt. Plus, you can communicate directly with your students one-on-one and view all of their files, progress and posts from their student profile. Teach your students using lessons, then have them apply their newfound knowledge using assignments. Create assignments such as "Exercise 1-1", with instructions to "Build a website", and have students submit their work for that assignment. Students may work in EduBolt directly, or they can use any software you mandate for your class (Notepad++, Filezilla for FTP, etc.). Post a new topic each time your class meets. Give students a writing prompt to reinforce what they've learned. Encourage students to share questions & ideas. Alow students to help each other when they're stumped. Student Data Security, FERPA & PCI DSS compliant, plus we only use SSAE16 certified datacenters for our servers. You can securely run student's files directly on EduBolt at anytime. Student files are only accessible on the Internet with the teacher or student's username and password - we make serious security simple. In addition to watching our training videos, customers may submit Support Requests within EduBolt directly. If you are not a current customer, or are locked out of your account, you may use our Contact form. Help your students begin their dream job journey with EduBolt. 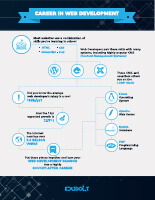 Download, print and distribute to all of your Web Design / Development students. Ready to start using EduBolt? My name is Thomas and long ago I graduated from Lewisville High School in Lewisville, Texas. The lessons I learned from Mr. Skiles (my high school Web Development teacher), not only took me to State and National competitions, but showed me a career path. For over a decade, I worked for companies of all sizes as a Web Developer, Software Architect and VP of Development until I started my own company, VisorCraft. Today, my company builds meaningful solutions to small businesses through custom development, offers CPE courses to teachers and actively tries to better the world around us. I would like to thank you for the work you do, teaching students skills that can be a viable career, and invite you to try EduBolt out for 1 month (1 teacher and 5 student accounts). Please feel free to print out and distribute the Career In Web Development document to your students, and we hope to have the opportunity to serve your classroom soon. P.S.S. Click here to try EduBolt out! Please contact us to be notified once the 2018-2019 school year registration begins. Competitive standard pricing. Free account setup. No hidden fees. We strive to respond to all inquiries within 1 business day. We love to receive your feedback! © 2019 VisorCraft, LLC. All rights reserved.